We were wrong on both counts. Travel sites and suppliers generally respond with threats of lawsuits — not gifts of cash — when you try to scrape their data. And having not worked in the travel business before, neither of us even knew who to ask about doing deals with these companies. 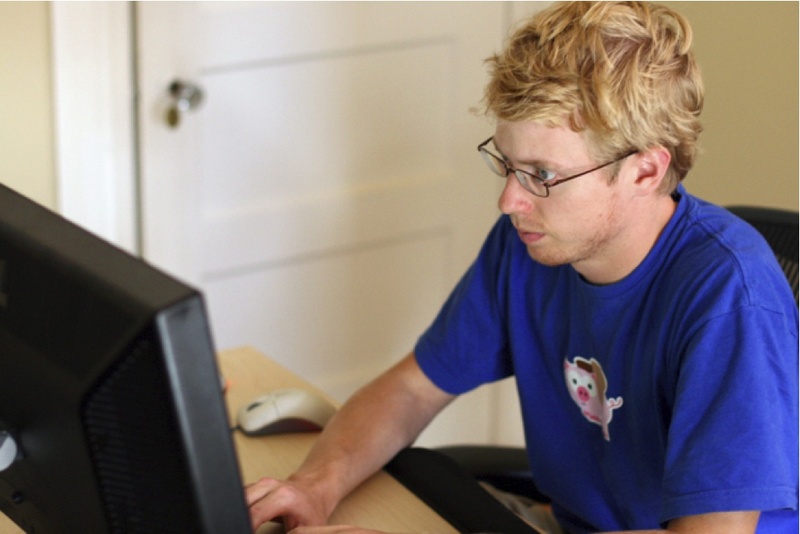 We were two young guys who were much more comfortable writing code than contracts: Steve was a successful entrepreneur who co-founded Reddit straight out of college and sold it to Condé Nast, and I was a fresh graduate of MIT, moving to San Francisco to live the startup life. All we knew is that we wanted to take the agony out of travel. Thus began our adventure into the world of business development. We had a small angel investment from Y Combinator (less than $100,000), a room in my apartment and a naive feeling that it couldn’t be that hard. The first challenge was simply getting in contact with the right people at travel companies. I left a voice message for one of the big data suppliers for traditional travel agencies. I received an email reply—two months later—with a ten-page form for me to fill out. And that was the most accommodating company I spoke to; the vast majority never returned my calls. Fast forward a month to July 2010. Our programming work was progressing quickly, and we had a proof of concept ready to show testers and investors. But we still had no idea where we were going to get flight data from. In desperation, I sent another email to each of the major online travel agencies. In hopes it would push things along even faster, I even told Orbitz, “I’m planning to be near your office next week,” which was, in retrospect, fairly ambitious, since I hadn’t even booked my flight to Chicago yet. Luckily, Orbitz accepted the meeting, and that formed the starting point of our relationship, allowing us to launch just a month later. Once we launched, everything changed. Previously we were content to write all the code, and I was also slowly gaining comfort dealing with “the suits” at big companies. But then we faced a new challenge: how could we effectively split our time between hiring, answering customer support emails, improving our product and marketing it to as many people as possible? And how were we going to pay for it all? We quickly decided to raise an angel round, which ended up totaling about $1 million. That took us to the point where my living room was reaching maximum human capacity. So we decided to quadruple down and raise another $4 million in a Series A round led by Ignition Partners. The growth of our company led to new partnerships to collect data for hotels, vacation rentals, trains, private jets, low-cost airlines and other travel agencies. Many of these deals took another year to complete, even with the help of a sharp new business development hire. But gradually, the clouds lifted — most of our newer partnerships are from people who came to us first, and now we don’t have any trouble getting our calls returned. This is the untold story of so many startups. Whether launching a business in an industry you know inside out or one that’s brand new to you, dozens of deals will need to be worked out — often in person — in a process that looks a lot more like business at a 50-year-old company than “life at a startup.” Sometimes agonizing, sometimes ecstatic, it’s just the way business gets done. And that’s how I did it.